President Trump’s firing of FBI chief James Comey last May spurred much of the media to rally around America’s most powerful domestic federal agency. But the FBI has a long record of both deceit and incompetence. 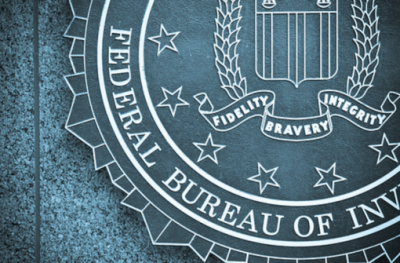 Five years ago, Americans learned that the FBI was teaching its agents that “the FBI has the ability to bend or suspend the law to impinge on the freedom of others.” This has practically been the Bureau’s motif since its creation in 1908. The bureau was small potatoes until Woodrow Wilson dragged the United States into World War I. In one fell swoop, the number of dangerous Americans increased by perhaps twenty-fold. The Espionage Act of 1917 made it easy to jail anyone who criticized the war or the government. In September 1918, the bureau, working with local police and private vigilantes, seized more than 50,000 suspected draft dodgers off the streets and out of the restaurants of New York, Newark, and Jersey City. The Justice Department was disgraced when the vast majority of young men who had been arrested turned out to be innocent. But Truman did not have the gumption to pull in the reins. “Congress secretly financed the creation of six of these [detention] camps in the 1950s,” noted Weiner. Featured image is from Dave Newman | CC by 2.0.